Have you ever thought about taking that leap into sleeping in a hammock? Hammocks offer several potential health benefits over the traditional stationary bed, including alleviated back pain, deeper sleep and more. Below you will find some different ways that hammocks could possibly help you. The best hammocks to sleep in are Brazilian or Mayan hammocks. These hammocks do not have spreader bars so you will not have to worry about falling out of the hammock as easily as you would from an American style hammock (a hammock with spreader bars). Quilted or rope hammocks with spreader bars are great for brief naps in the backyard, or lounging. However, because they can flip more easily than a non-spreader bar hammock, they are not ideal for sleeping. 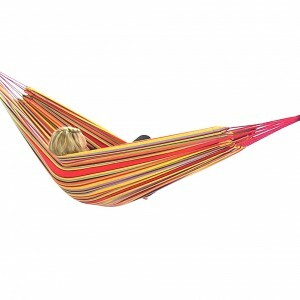 The rocking motion of a hammock has been said to help provide a faster transition to sleep. Like our ancestors who likely slept in hammocks, the motion gently lulls one to sleep faster than falling asleep on a traditional stationary bed. A group of neuroscientists at the University of Geneva in Switzerland ended up confirming that. They used 12 adult participants and had each of them take a 45 minute nap in a stationary bed, and another 45 minute nap in another hammock-like bed with motion. The study found the participants experienced a faster transition to sleep, and 8 of the 12 participants said the hammock-like bed was more pleasant to sleep in than the traditional stationary bed. As the study discussed above found, motion leads to a faster transition to sleep. It also found that it was a deeper sleep. They measured the brainwaves of the participants and found certain brain waves to be stronger during that nap in the hammock-like bed. Stronger brainwaves during sleep mean that you'll be well-rested, able to concentrate better, and focus. Because there is such a vast array of back pain types, and there has not been a specific study done on whether sleeping in a hammock does indeed alleviate back pain, I cannot state that sleeping in a hammock will absolutely ease back pain. However, the air suspension, and the evenly distributed weight on the hammock mean that there is no pressure exerted on the body which may end up giving your back some relief. 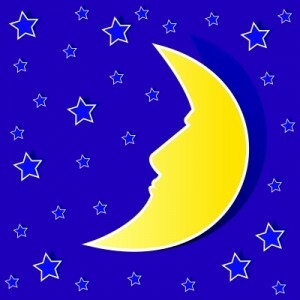 Quality deep sleep means more energy. While sleep itself can increase metabolism, better sleep can also result in more energy. People with more energy are more likely to burn extra calories throughout the day. That results in a reduced risk of obesity and weight gain. 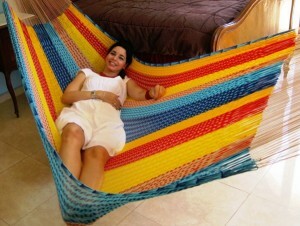 A woven Mayan hammock or cotton Brazilian hammock is much more breathable than a traditional stationary bed. Better air circulation means more comfort while sleeping and less worries about sweating and waking up too warm. 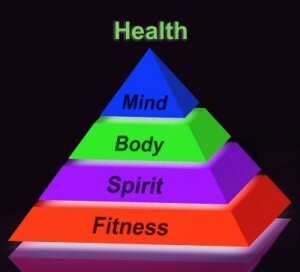 While the benefits posted above are mainly health-related there are some other benefits that are more convenient than health related. But having a couple more conveniences in our lives helps reduce stress, which can also be seen as a health benefit, right? Hammocks are very easy to put away in the morning, simply remove from the hooks and fold and put away in the closet. You could also leave the hammock hanging and simply put away your blanket. Several hundred years ago, when hammocks were used for sleep, they were used primarily to stay away from vermin, snakes and other pests that roamed bare floors/grounds below. While we don't typically have to worry about those types of pests getting into our modern houses, we do have dust mites and occasional bedbugs. With hammocks, you don't have to worry about this. If you find yourself wanting to try out sleeping in a hammock, start off easily. Start off by napping in a hammock. Then, sleep in it one night, and if that goes well try again the next night. After that, you'll be well on your way to a better night of sleep.